Careers for graduates: learn about how you can help clients receive the full value out of contracts. Careers for graduates: learn how to help clients receive full value out of contracts. In Contract Assurance & Performance (CAP), we focus on helping our clients receive the full value out of their contracts. In CAP we have two distinct service lines: Vendor Compliance and Software Asset Management. The Vendor Compliance side of our team work alongside our clients at all stages of the contract life-cycle. We help clients understand their requirements and build tools to allow them to effectively manage their contracts. We go in and analyse contractor performance against contractual terms and identify cost recovery or value opportunities. We also provide broad range or wide ranging management of high-value contracts on behalf of our clients. Within the Software Assessment Management side, we have traditionally worked with some of the largest software vendors in the world to quantify and recover lost licensing income, but as we evolve we are progressively working more with our clients to ensure that they manage their software license exposure and get the most out of the software and hardware they have purchased through SAM advisory and SAM as a Service. The CAP team is diverse, with our two service lines attracting a range of people from commercial, legal, IT and engineering backgrounds. The CAP motto is ‘one team, one dream’, representing the collaborative and welcoming nature of our team. The national team is well connected and you will find yourself working with colleagues from across Australia. Our leaders are passionate, engaging and looking for innovative solutions. They care about the development of their team and delivering forward thinking solutions to our client’s problems. Days are varied depending on the project you are currently working on and the stage that it is at. You’ll meet with clients and their contractual parties from your first weeks in the role. You’ll be reviewing and analysing information and working with your colleagues in developing innovative solutions. Client reporting is an important task that is integral to what we do - it’s about being able to take large and complex data sets and converting them into information which is useful to the parties. We’re a social team, so there are regular coffee catch ups and team events throughout the week. Being part of the CAP team, you’ll develop a broad range of general professional skills, including building client relationships, engagement management and proposal development. You will also develop your technical skills, including learning how to interpret what is written in a contract between two parties and understand how it applies in the real world in terms of relationships, information flows and payments. Depending on which service line you join, contracting and software licencing skills will be taught both theoretically as well as via on-the-job training. 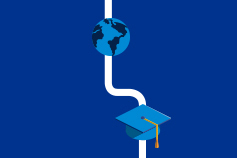 KPMG has a defined Learning & Development program that includes technical skills training, soft skills training, and post-graduate qualifications tailored for an individual’s specialisation (examples of Post Graduate study being undertaken within C&CA include MBA, the CA Program, Procurement Institute qualifications, CISA and Internal Audit qualifications). The best part of the role is the ability to work across a number of different clients and industries with a workforce that incorporates people form a range of backgrounds and specialties. This diverse client and industry base means you are constantly learning, whether you are a new graduate or someone with years of experience in contract compliance. Our work directly influences the bottom line of our clients so we are seen by them as adding value, not as a cost that has to be borne by the business. You get a lot of opportunities to work with the broader KPMG team in multi-disciplinary teams where CAP expertise is required. We are also a nationally structured team which means there is the opportunity to work in different states. 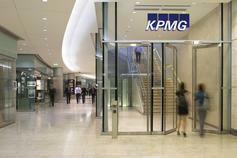 KPMG helps organisations better manage their software, channel & vendor-based contracts.